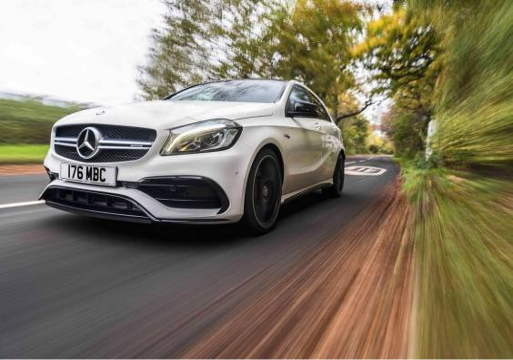 New Mercedes A45 AMG comes with a 0-62mph sprint time of only 4.2 seconds, savage straight-line performance and incredible cornering ability, the A-Class-based hot hatch is quicker than any rival, including the Audi RS3, VW Golf R and BMW M135i. The ride of the test car (which featured the optional adaptive dampers) remained composed even when goaded by mid-bend bumps. It’s firm, but it’s never harsh. The four-wheel drive’s power transfer system keeps it from feeling scary, with quick, accurate steering warning of grip limits and immense traction through the optional limited-slip differential. The engine barks like a racing car when you prod the accelerator pedal and the automatic gearbox is reasonably smooth, with appropriately snappy paddleshifters. Standard, figure-hugging sports seats hold you securely and the steering wheel has plenty of adjustment. The pedals are positioned slightly to the right, but not uncomfortably so. Build quality is a little disappointing given the high price, though. The cheaper Audi S3 is much classier inside. Its carbon-effect dash with red highlights helps to brighten up the greyness. Sat-nav and DAB radio are fitted as standard and there’s a fixed iPad-style display in the centre of the dashboard that’s controlled via rotary dial. The on-screen menus are a bit confusing. There’s ample leg and head space up front and five doors as standard means good access to the rear. Unfortunately the sloping roofline eats into headroom in the back. BMW’s M135i and VW’s Golf R are both roomier in the rear. 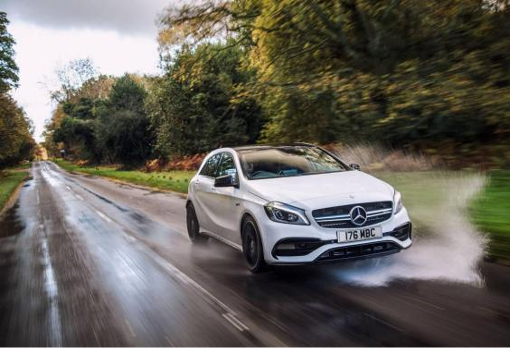 With the rear seats in place, the A45’s boot is smaller than the Golf’s. The boot is relatively wide, but shorter and shallower that those of direct rivals. A big entry lip makes it awkward to load heavy items and the opening is quite narrow. 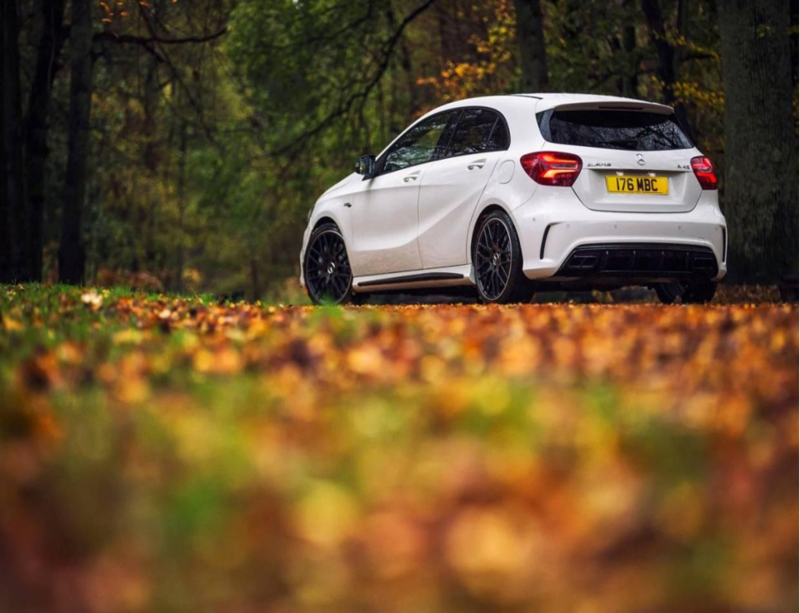 The A45 is pricey by hot hatch standards and is predicted to lose value slightly faster than the Audi RS3. It produces less CO2 than the Audi, though, bringing tax benefits. On equipment, you get climate control, heated front seats and cruise control. Leather, keyless start and upgraded sat-nav are popular options.